I am continually drawn to the many contradictory associations we have with insects, and the way in which those tensions can complicate our understanding of ourselves, and our place in the natural world. As pests and interlopers in our homes, insects elicit an uncomfortable feeling of loosing control of our bodies and surroundings. From a distance, their chaotic nature feels menacing and contrary to the order of human society. 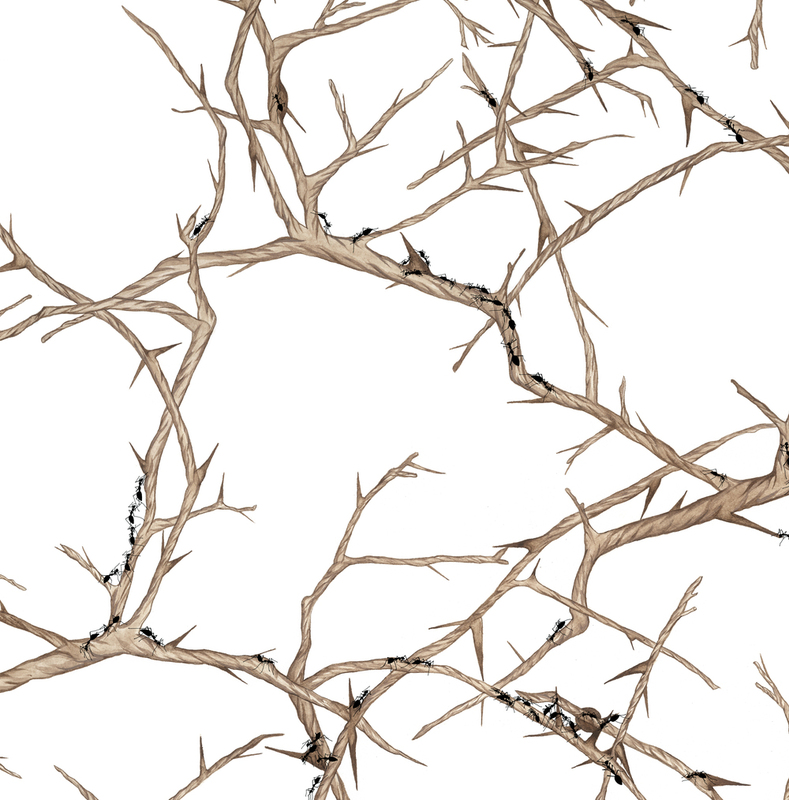 A closer analysis reveals a more complex balance between chaos and organization. Installation Views: Ruination at Fleisher Art Memorial, Philadelphia, PA (Images 2-3) and Precarious Balance, Pittsburgh Center for the Arts (Images 4-5). 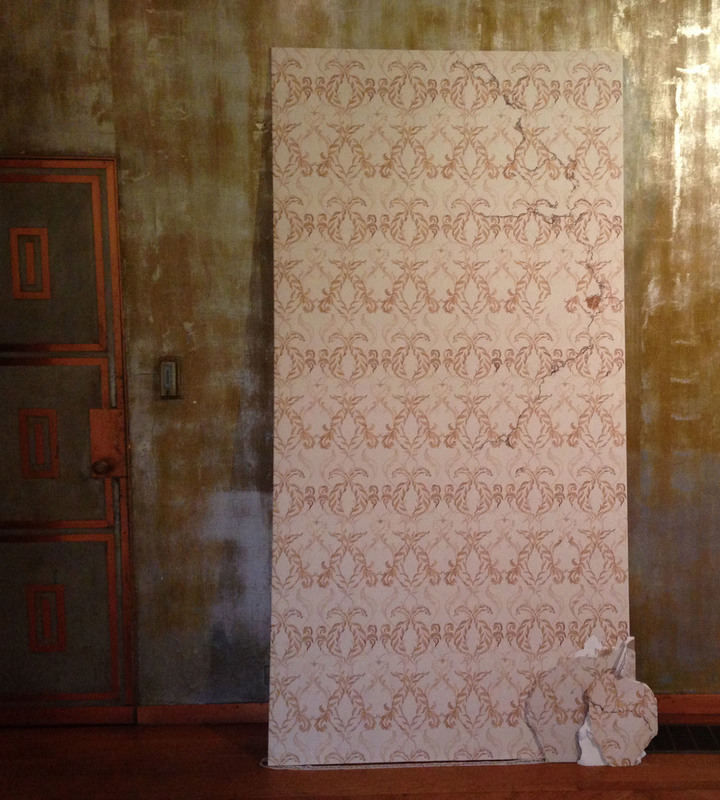 From a distance, the wallpaper installation Decomposition/Recompositon appears to be a conventional design. A viewer might notice stains, or other signs of deterioration, but as she gets closer, she might notice that the pattern itself seems to be deteriorated or composed of stains. 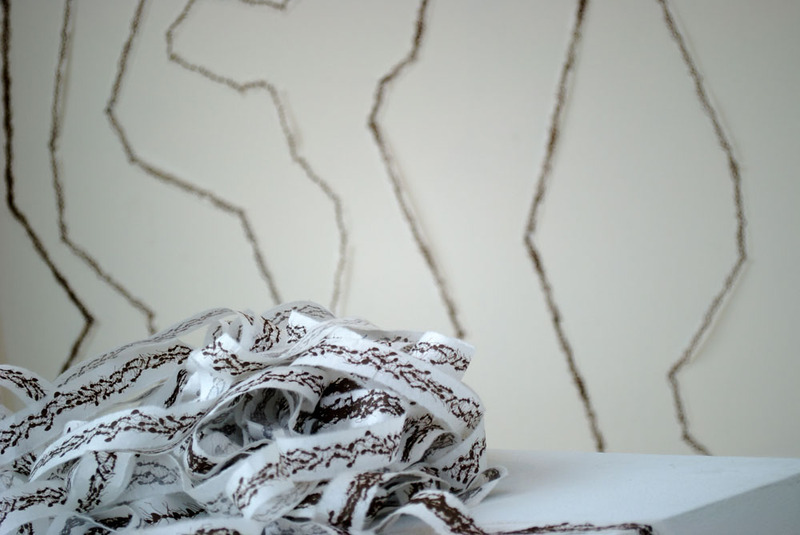 As more of the wall is explored, the viewer discovers trails, chains, and towers of weaver ants that have colonized the design, taking apart the pattern and building their nests from its parts. 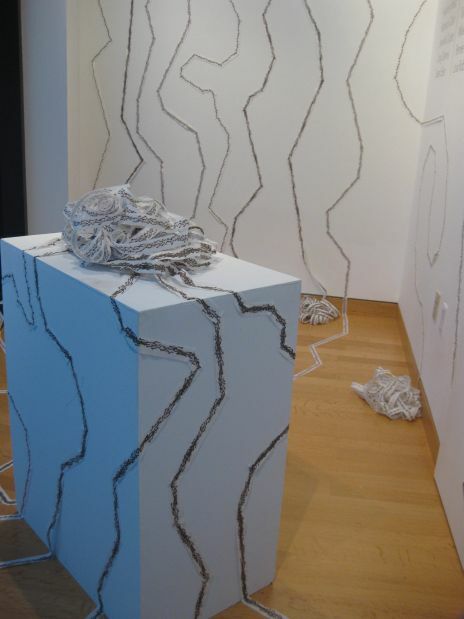 In Weaver Colony (2010), lacy chains of clambering Weaver ants move across the walls and around posts, colonizing corners of the gallery. 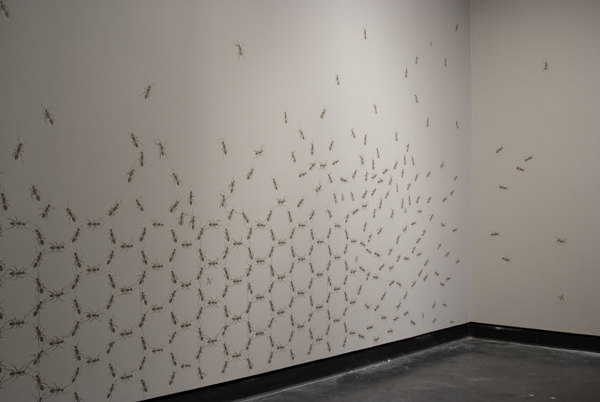 Installation Views: Insectology, Silber Gallery, Goucher College, Baltimore, MD. 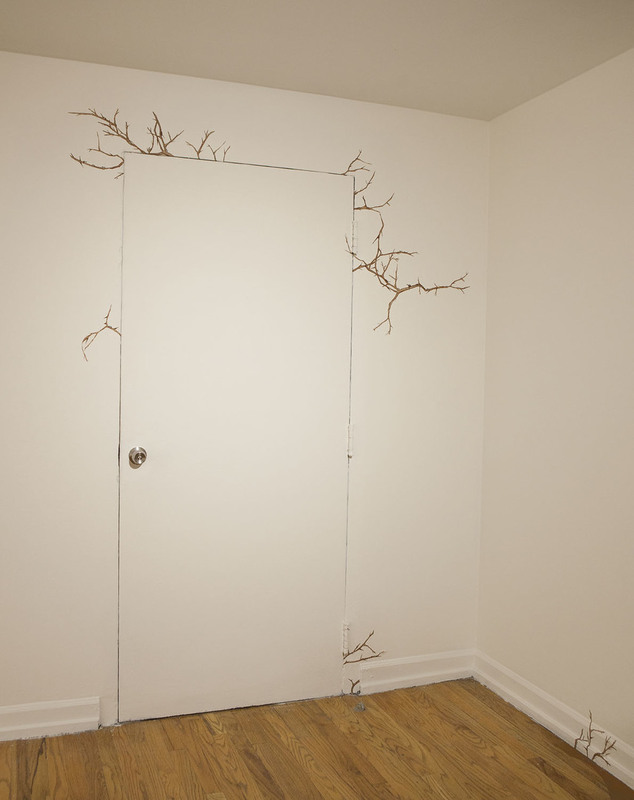 This piece, created for a solo exhibition at Delaware Center for Contemporary Art, is a design based exploration of the themes of order and disorder in nature. The piece builds on my interest in creating wallpapers and patterns that depict both design and disorder, and also served as a visual and conceptual bridge between the two series of prints in the exhibition. 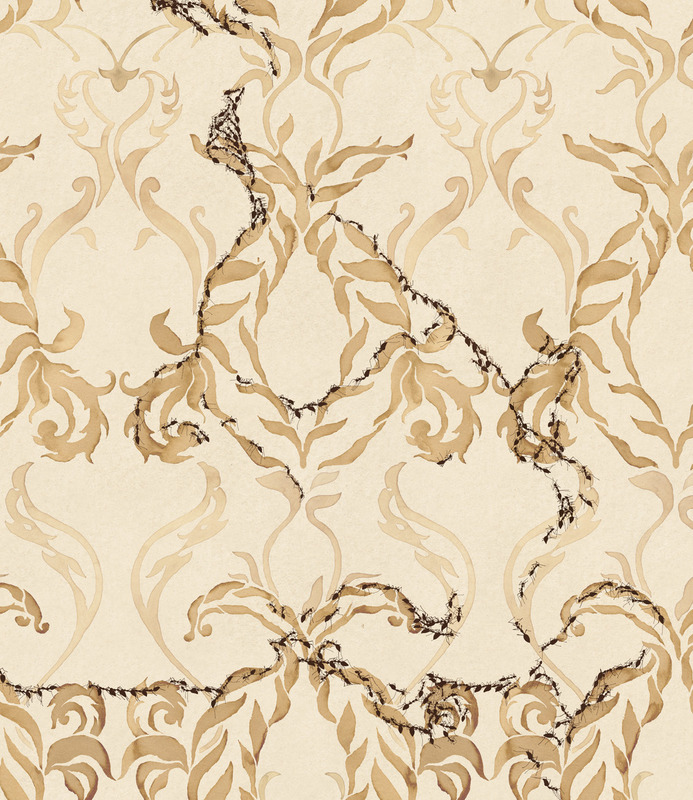 I have long been fascinated by the 19th century short story The Yellow Wallpaper, in which a woman's descent into madness is chronicled through her experience watching the wallpaper come alive, and continue to return to the themes from that story in my work. For this piece, I was also influenced by the honeycomb pattern made by wasps and bees, and by similar shapes found in the raid formations of army ants. 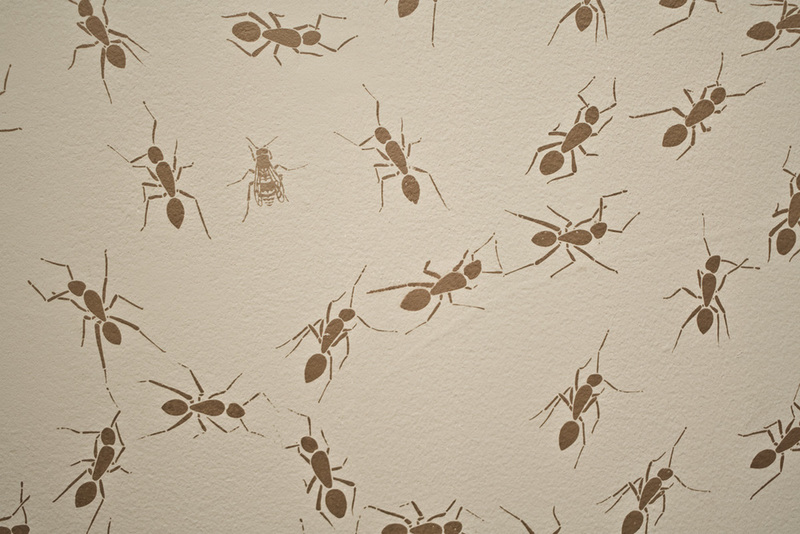 Here, larger than life ants raid the gallery walls, coming together to from patterns, chaotic jumbles, and columns. 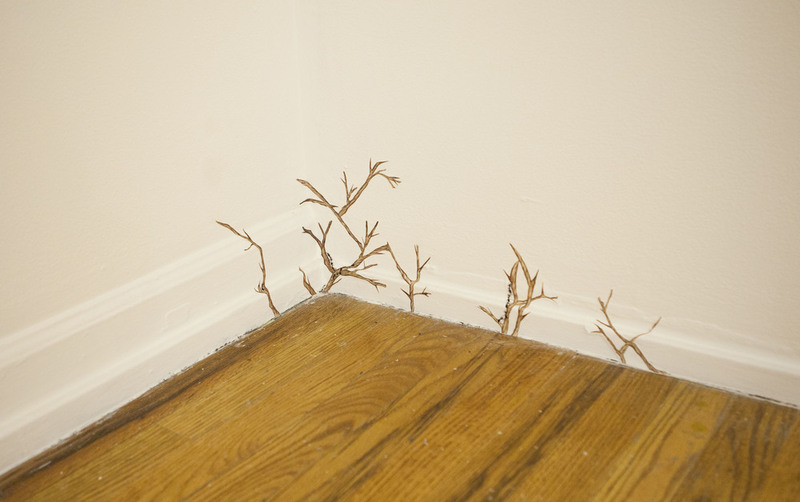 Installation views: (Dis)order at Delaware Center for the Contemporary Arts, Wilmington, DE (Images 1-3) and Emergence, Bahdeebahdu, Philadelphia, PA (Images 4-5).